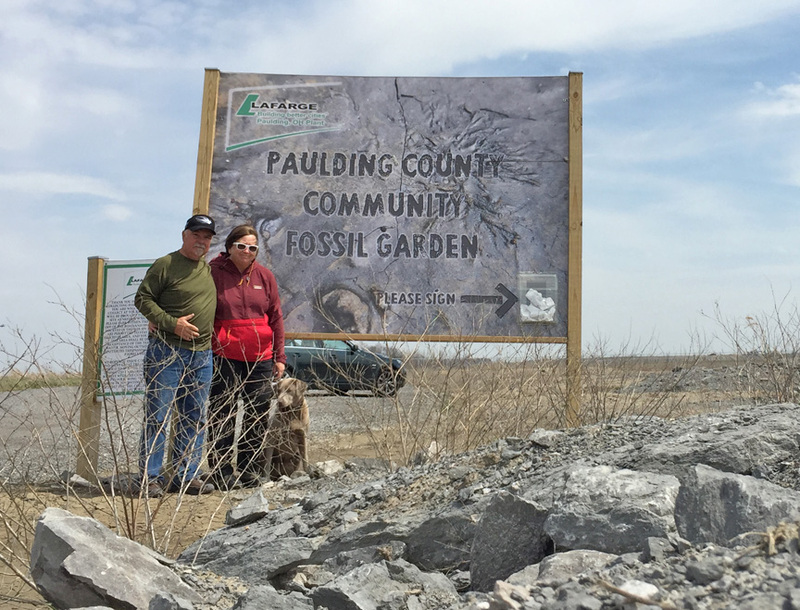 This site is a farm field where the LaFarge Quarry operators dump truck loads of fossiliferous overburden solely for the purpose of fossil hunting. 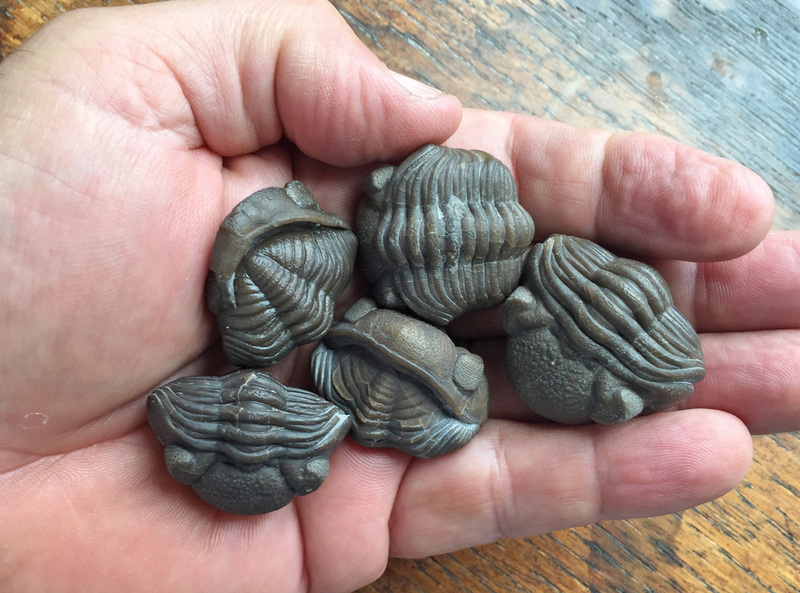 There is no charge to hunt for fossils here. It is a beautiful thing and I commend them for their generosity. I visited the site in the summer of 2016. 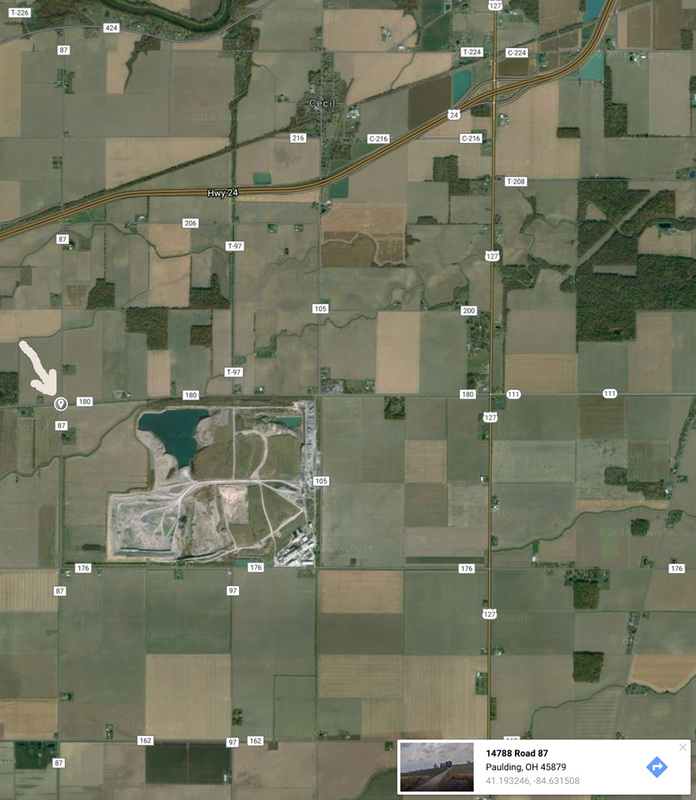 The site is located north west of Paulding, Ohio at the south east corner of the intersection of County Roads 180 and 87. It is about 2 miles west of the intersection of US 127 and northbound Ohio 111. The actual site is unmarked and ungated. The site is about an acre in size. 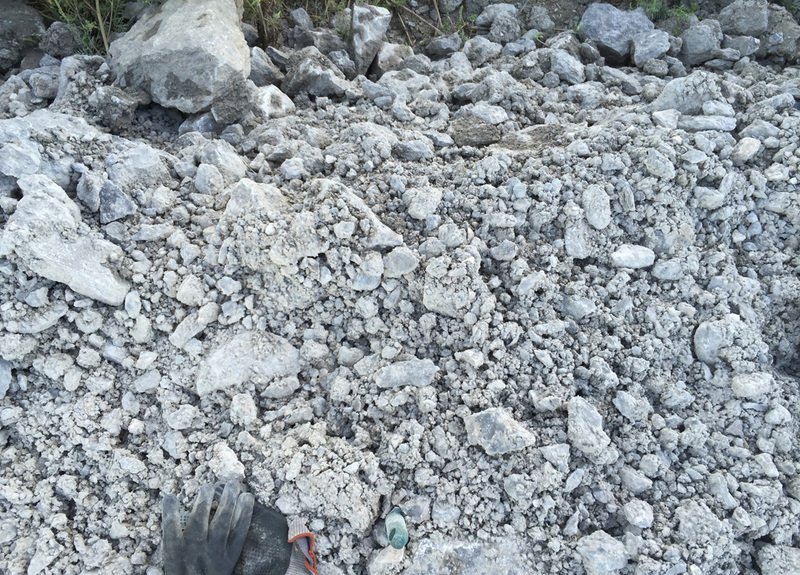 La Farge has provided a gravel parking lot and a porta-potty on site. 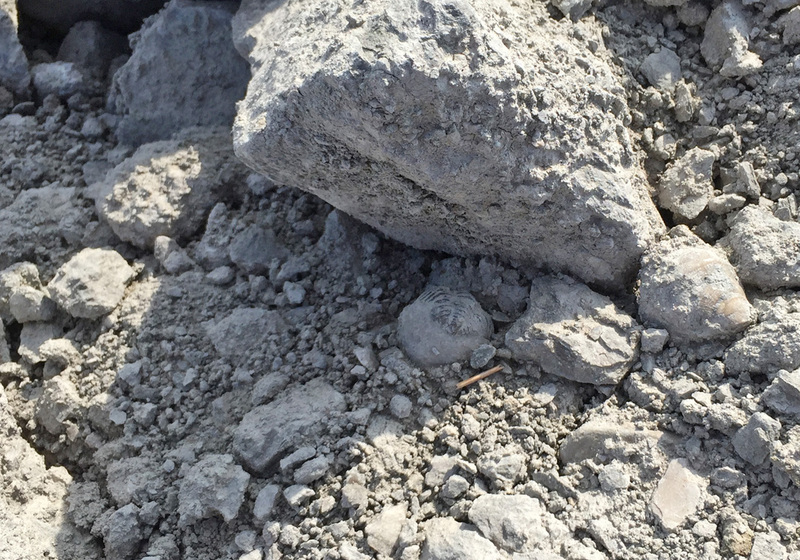 The rocks are dumped in four lines or rows. Each row is about 3 meters wide and 100 meters long. 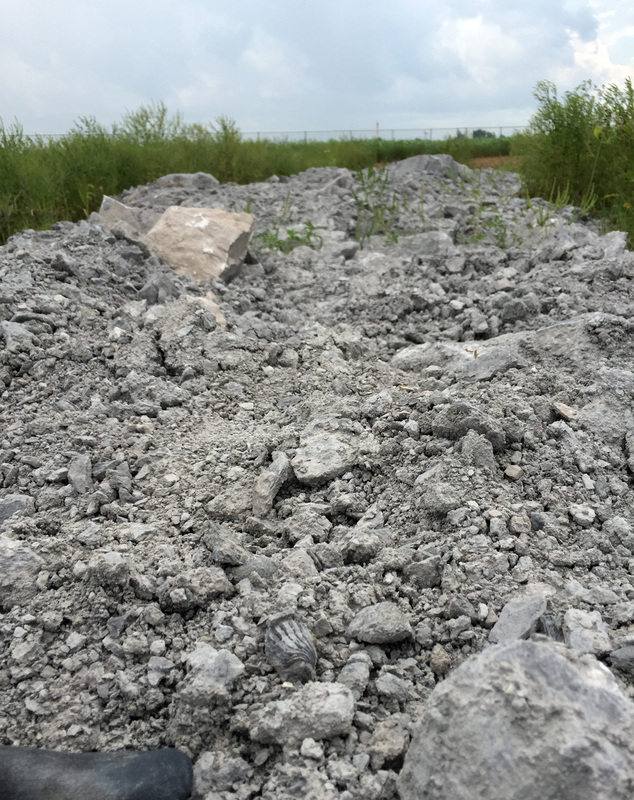 The depth of the material varies from about 1 to 2 feet and the type of material seems homogeneous among the four piles. 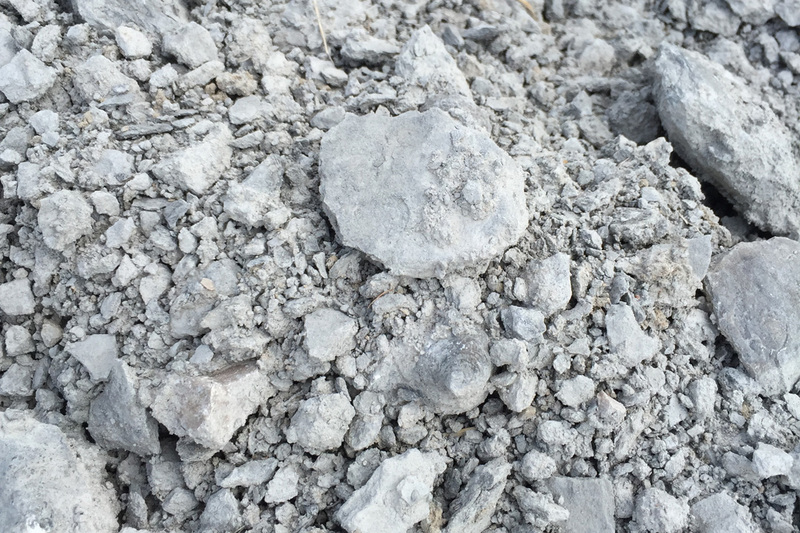 All four piles are quite fossiliferous, containing mostly brachiopods, horn corals and trilobites. 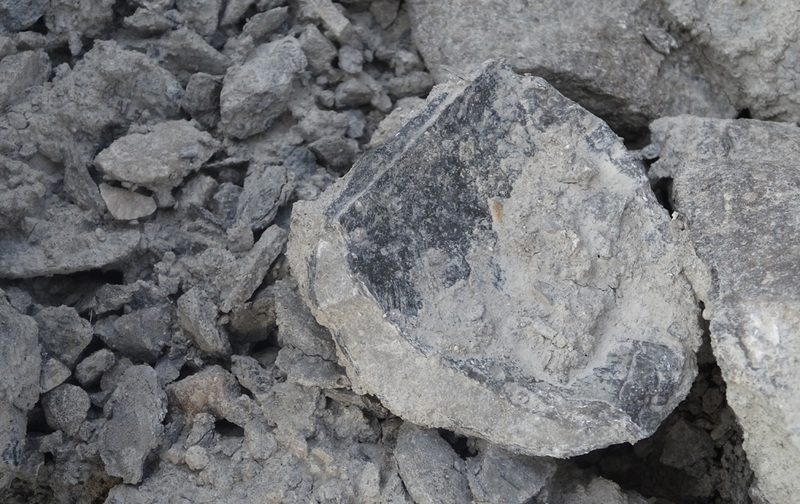 I dug with my hands in the loose shale at times but found surface collecting to be more productive. 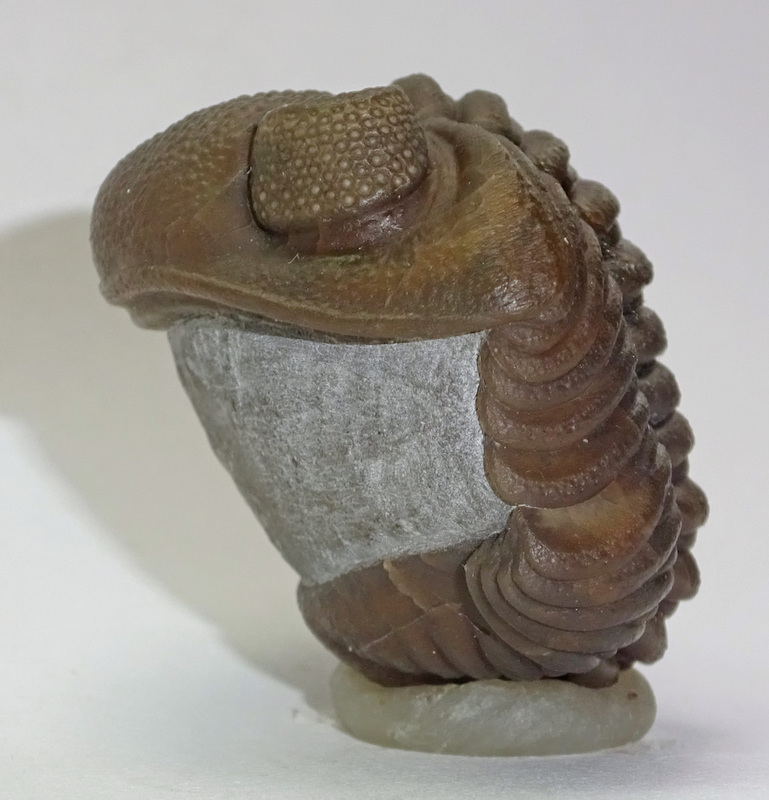 A number of different species are found but not all are that well preserved. Many are broken. 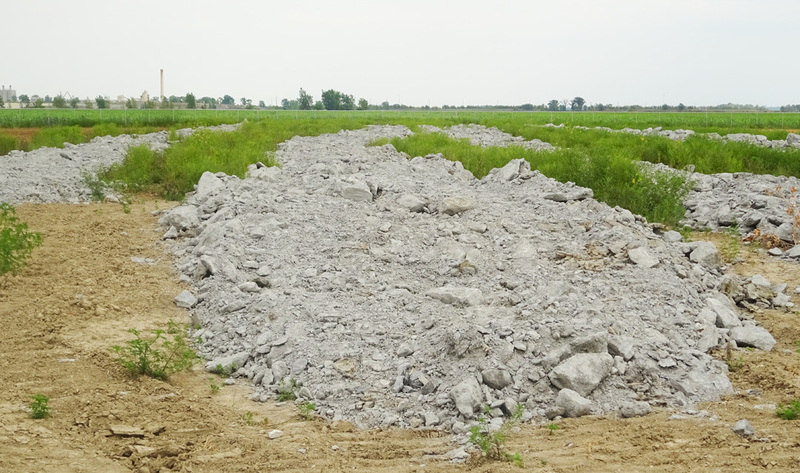 There are bulldozer tracks on top of the piles so that may contribute to the breakage. 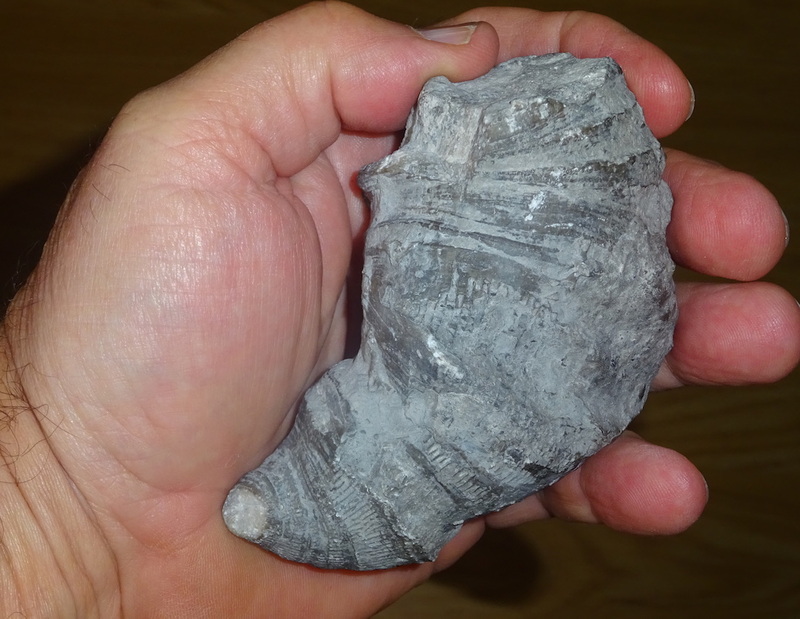 The brachiopods tend to be larger as compared to the Sylvania exposure of Silica Shale. About 10 different species are represented. The horn corals are abundant and tend to resist breakage better. The horn corals are also quite large compared to the Sylvania exposure of Silica Shale. 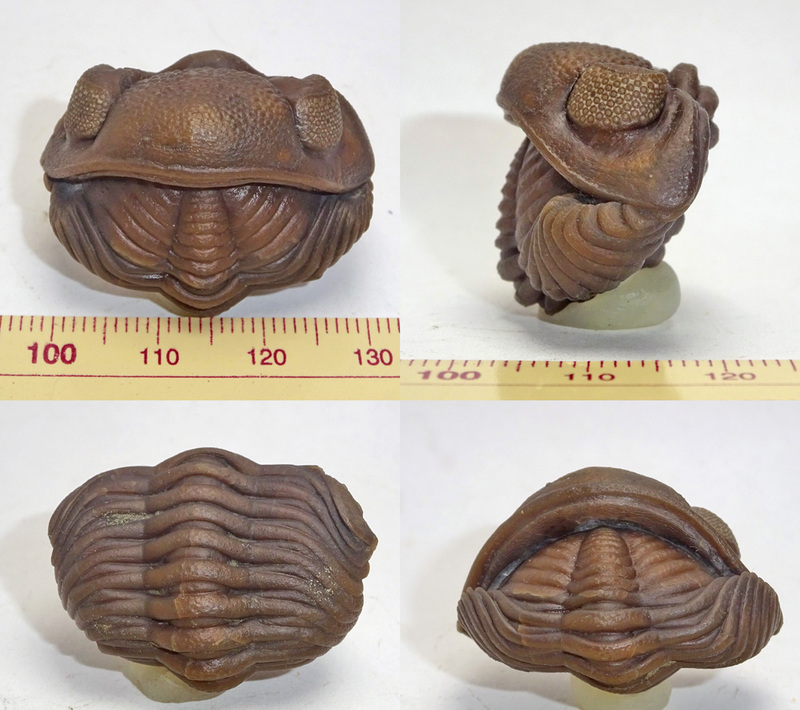 Trilobites are hard to find but they are present. I found one about every two hours, all on the surface. 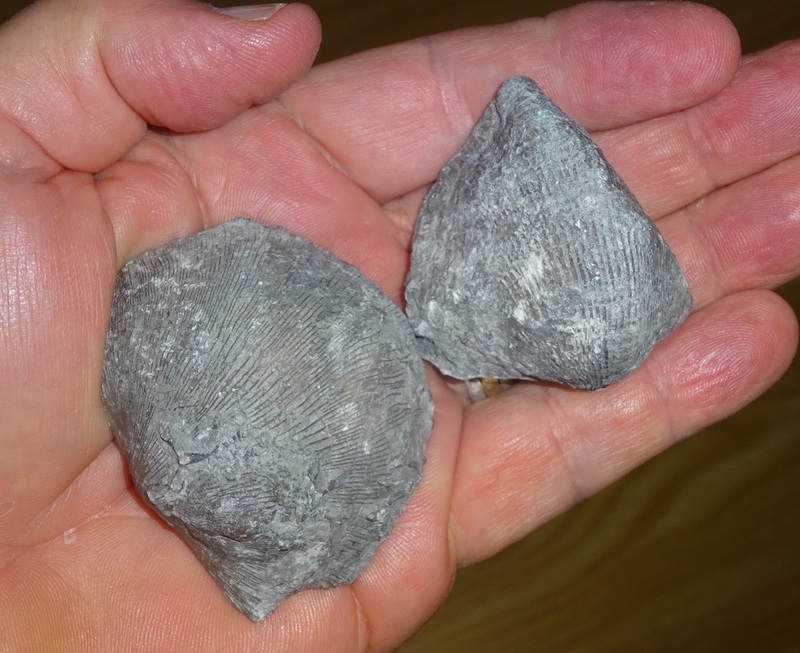 These, too are larger than those I have found in the Sylvania exposures of the Silica Shale. 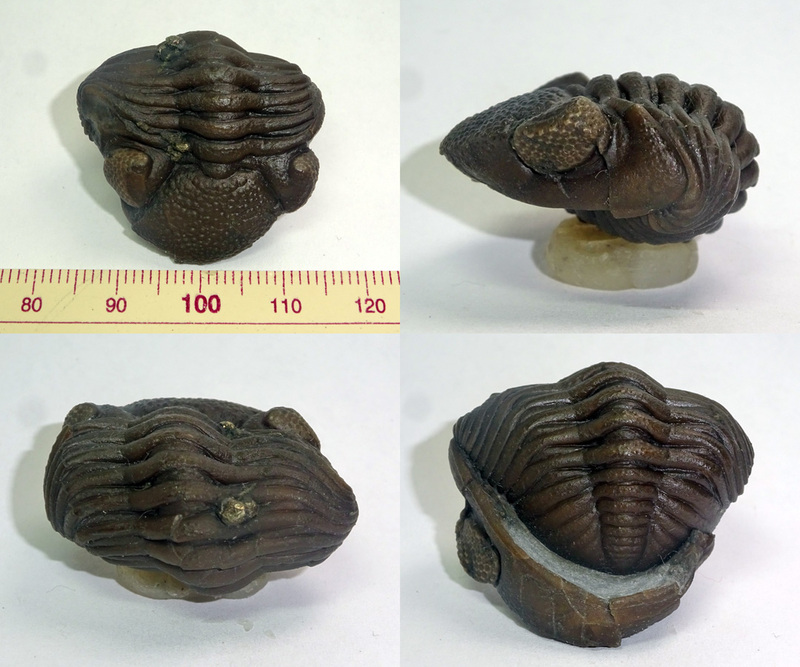 In all, I found four complete trilobites and three partial ones. This one is was distorted during preservation. 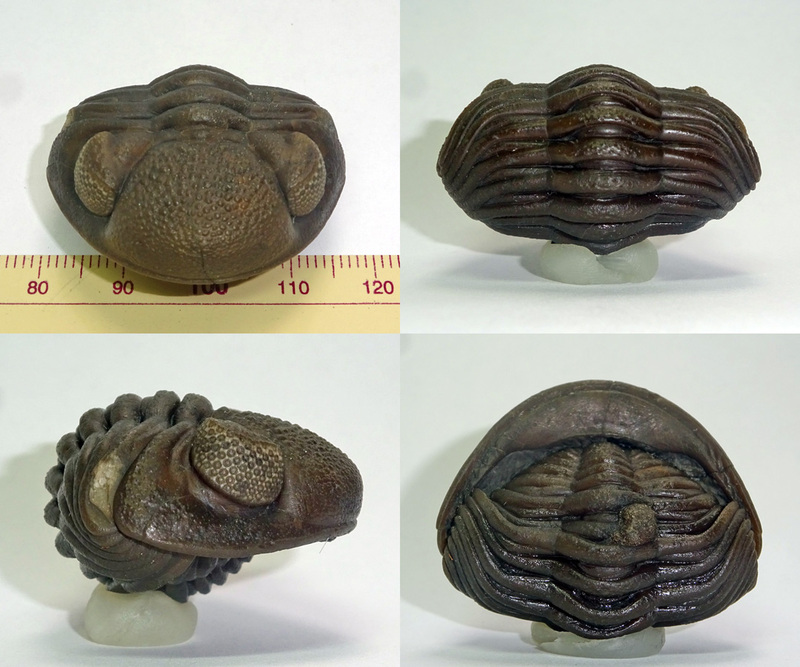 The largest of the four, 38mm across. A handful of bugs all cleaned up! 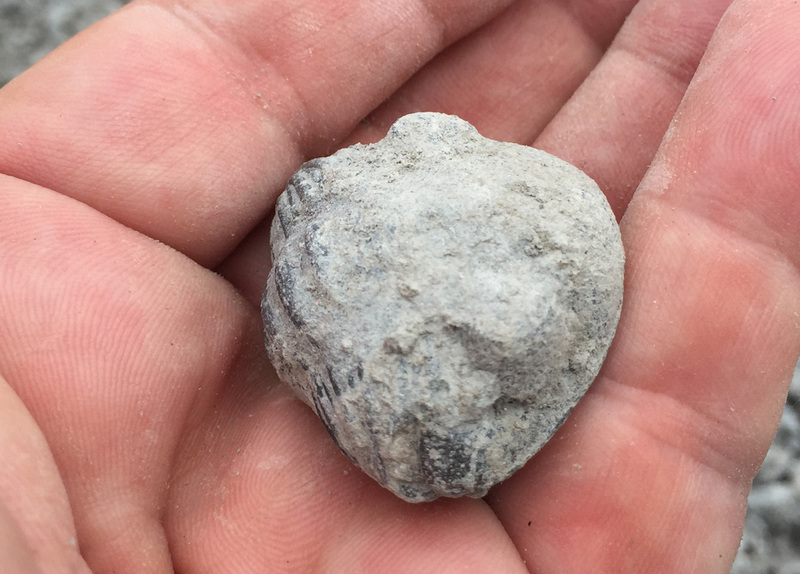 All in all a wonderful place to find excellent Devonian fossils. I hope that La Farge continues to support the site.